Dallas Cowboys vs Philadelphia Eagles Picks, Predictions and Betting Tips for the NFC East showdown at AT&T Stadium. Will the Eagles stay alive in the NFC East playoff race? 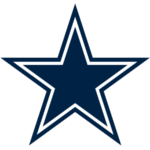 Or will the Cowboys win their 5th straight and pull away with the divisional title? Read on for all of our free NFL tips! The NFC East divisional crown seems to be up for grabs this weekend as the Eagles travel down to Dallas to face the Cowboys. Dallas currently sits atop the division at 7-7, while both the Redskins and Eagles are following a game behind at 6-6. With the Redskins dealing with extreme QB issues, it looks like the division will be decided between Philly and Dallas. A win this Sunday could propel Dallas ahead and put them in a great spot to take home the NFC East crown, but Philly will do all it can to prevent this and keep their hopes alive. Starting with the visitors, the Eagles handled the Redskins on Monday Night Football this past week by a score of 28-13. Philly’s offense showed some life as they racked up over 120 yards on the ground and over 300 through the air, but this game was more a result of Washington’s problems than Philly’s success. Washington lost QB Colt McCoy to injury and had to play with their 3rd string QB Mark Sanchez for most of the game, which made life easy for the Philly defense. Dallas hasn’t played since their Thursday night upset win over the Saints, so they have had plenty of time to prepare for their divisional rivals. Their win over New Orleans was an absolute shocker and a wake-up call that the Dallas defense is in fact legit. The Cowboys’ pass rush pressured Saints QB Drew Brees all game long and their linebackers and secondary played incredible as well. On the other side of the ball, there were some concerns as the Dallas offense missed out on a lot of opportunities especially in the redzone. For this matchup, we can’t see past the Cowboys on the point spread. Although Philly has had two solid performances the past two weeks, Dallas is one of the hottest teams in football right now having won four straight. The Cowboys’ offense has been rolling recently, scoring 31, 22, and 27 in their past three games besides their performance against the Saints this past week. On the other hand, the Eagles’ secondary is banged up with injuries and has not fared well as of late. Dallas should be able to move the ball with ease behind RB Ezekiel Elliot, who will expose an Eagles’ defense that is ranked 20th against the run according to DVOA. On the other side, the Cowboys’ defense is playing at an extremely high level right now which finds them ranked in the top 10 for both pass and rush defense according to DVOA. Their pass rush should take advantage of a slumping Philly offense line and their front seven should limit the Eagles’ success on the ground and make them one-dimensional. 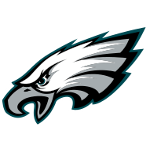 The Eagles just won’t be able to keep up offensively, and considering Dallas beat the Eagles’ just 3 weeks ago in Philly by a touchdown and now head home in much better form, we see them winning by at least a touchdown in this one as well. We also like the over on the points total in this contest as well, given that both teams are in solid form offensively. Both teams’ trends towards the under seems to be providing some value on this line. Dallas has scored at least 22 in three of their past four games and should find plenty of success against an Eagles’ side that has given up at least 22 in three of their last four games, with one of those being 27 to this same Dallas team. We think Dallas will flirt with 30 points, which doesn’t leave Philly with much work to do on their side to help push the total over. The Eagles have scored at least 20 in 9 of their past 11 games and we think they will get right around the same mark. Dallas’ defense has been great but has given up at least 19 points in 5 of their last 6 games, so we think Philly can get to 20 and do their part to push this total over. Lastly, we like Cowboys’ RB Ezekiel Elliot to find the endzone as he has done 9 times already this season. Zeke is a viable threat in both the rushing game and the passing game out of the backfield, so we think he will get plenty of opportunities to score. As we mentioned, the Eagles aren’t great against the run and have struggled in coverage so we expect Zeke to exploit this and find the endzone. In the past 10 meetings between the two sides, each side has won five games, but Dallas has the slightly better ATS record at 6-4 in these last 10 meetings. The O/U is 5-5 in these last 10 matchups with the average combined score totaling around around 43 points. Philadelphia is 3-8 ATS in their last 11 games. Dallas is 4-1 SU and ATS in their last 5 games and 4-2 ATS in their last 6 home games. The total has gone under in 15 of Dallas’ last 21 games. LB Sean Lee has been upgraded to probable despite his lingering hamstring injury. T Tyron Smith (stinger), WR Cole Beasley (foot), WR Tavon Austin (groin), and DT David Irving (ankle) are all listed as questionable. DT Timmy Jernigan is out indefinitely with a back injury. LB Jordan Hicks (calf), CB Jalen Mills (foot), and CB Avonte Maddox (knee) are all listed as questionable.